Saturday 27th April 2019. Click here to book a place. 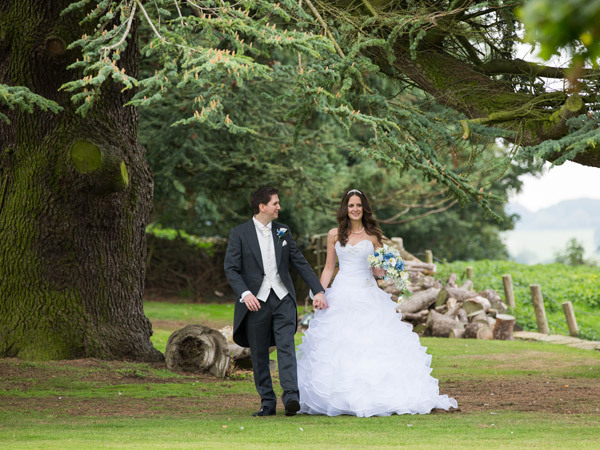 Ashton Lodge Country House is an exclusive use wedding venue in the heart of the Midlands on the Warwickshire and Leicestershire border. Built in the Edwardian era and set in grounds of 3 acres, this wonderful country house provides a unique place to celebrate your special day. It’s many period features remain, but have been enhanced by truly stunning interiors that give Ashton Lodge a unique edge. Weddings are our speciality and we can accommodate party sizes of 150 for a formal sit down meal and up to 200 informally. We are also licensed for civil ceremonies enabling the entire event to take place at Ashton Lodge. We can seat 120 guests in our stunning Garden Room which is also ideally suited to smaller more intimate weddings. With 14 individually styled bedrooms we can accommodate up to 36 guests overnight followed by breakfast served in the new Coach House breakfast room. Ashton Lodge is an idyllic and romantic Warwickshire Country House wedding venue which was built in the Edwardian era and is set amongst 3 acres of grounds. The quiet and tranquil venue is licenced for civil ceremony weddings and wedding receptions and is exclusively yours throughout your special day. The food which is created, cooked and served at Ashton Lodge by our in-house caterers, the Chopping Block, is breathtaking and utterly delicious. Their ingredients are locally sourced and ethically produced, and all their dishes are prepared and cooked by their team of hugely talented chefs in our kitchens. Serving wine, drinks and creating cocktails is an art form that compliments any party, and can be tailored to suit your personality, or a specific theme. Be it alcoholic or not, hot or cold, drinks served at Ashton Lodge are always a crowd pleaser and sure to get everyone in the mood for a party.